During measurement the display accurately shows area and travelled distance. New points keep being generated with every step. You can use auto recording mode or averaging function. If necessary, process can be paused to bypass obstacles and resumed back. During measurement the display accurately shows area and travelled distance. New points keep being generated with every step. You can use standard autologging function for distance measurement. You’ll be able to see the length of the area by measuring the distance only once. And other distances between the objects. Just mark 2 points on the screen to see the distance between them. 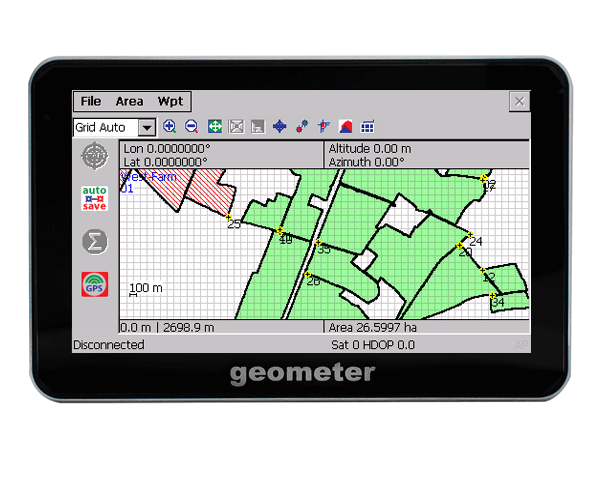 With geometer you can add your current GPS position with or without averaging. Also you can mark the place with fixed point and special pin for fast searching. You can always see your current coordinates and save them. 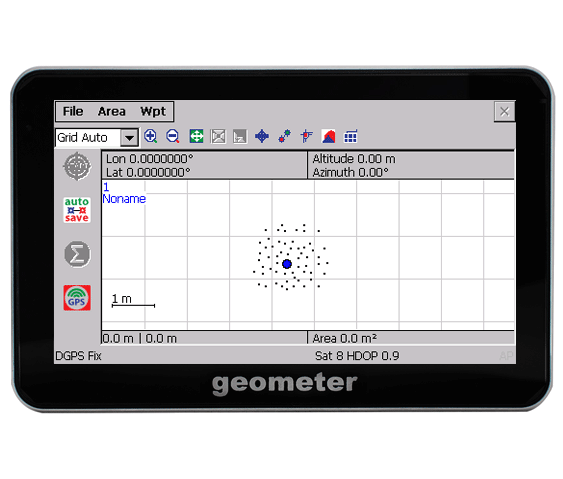 Geometer can navigate you to any fixpoint by reflecting the direction and actual distance. You can always determine the distance between 2 fixed points: by number or clicking on the screen. When you keeps your GPS geometer fixed at a certain location, the position are distributed around a central position. With averaging function you can enhance the accuracy of your measurements, especially if you don't have a very irregular contour. You can use averaging function for accurate area measurement, distances and for accurate fixpoints. Non-interested area measurement is as simple as the normal area measurement function. You just need to use HOLES function and create a new object for measuring performance. You can add a measured HOLE via GPS coordinates from the satellites, or draw the object using the drawing editor. Unlimited number of points recording. Limit depends on sd card capacity. Geometer will help you to create personal electronic maps with pins for your needs. Geometer can export data to: kml, shp, dxf, txt, xls, Ozi Track, CompeGPS. Flag fixpoints or any other points with short notes. The max note can be 160 symbols. 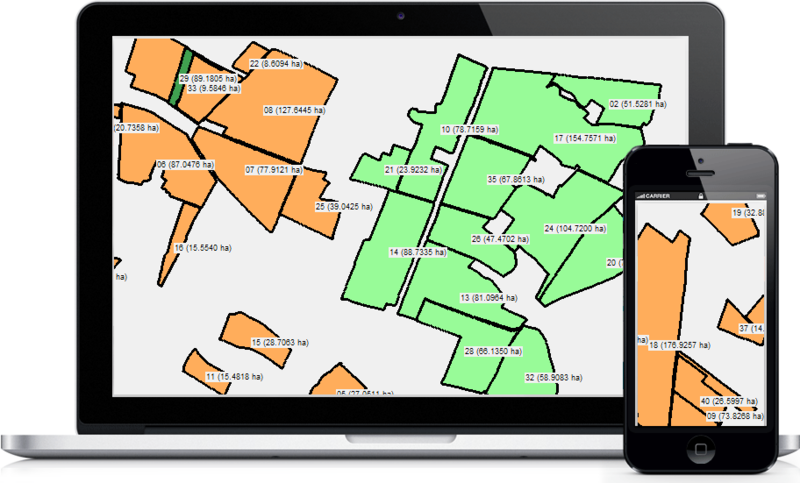 Use GPS geometer for geotagging data for soil chemical analysis. Best with averaging function. Divide the surface into small parts, determine areas for each part and use different colors and patterns. Use averaging function to enhance the GPS accuracy for the points or areas when needed. Use draw editor for fast circle drawing (pivots) or any geometric figure on the display. 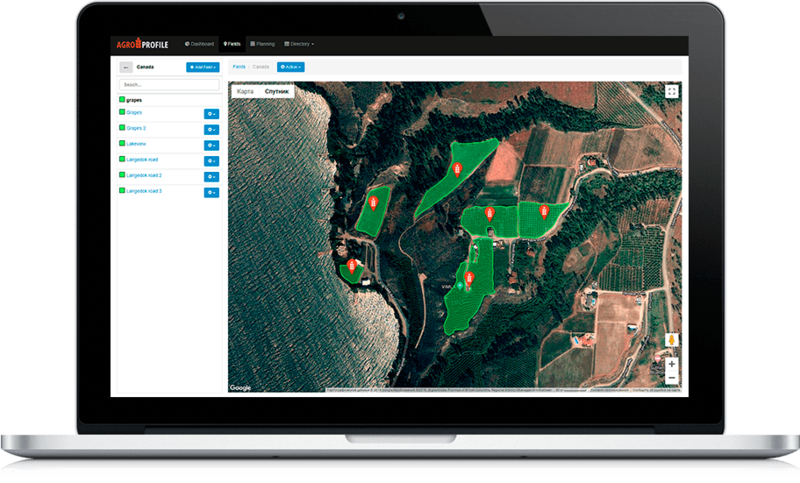 START WIZARD, as one touch is all you need to start measuring the distance or area. 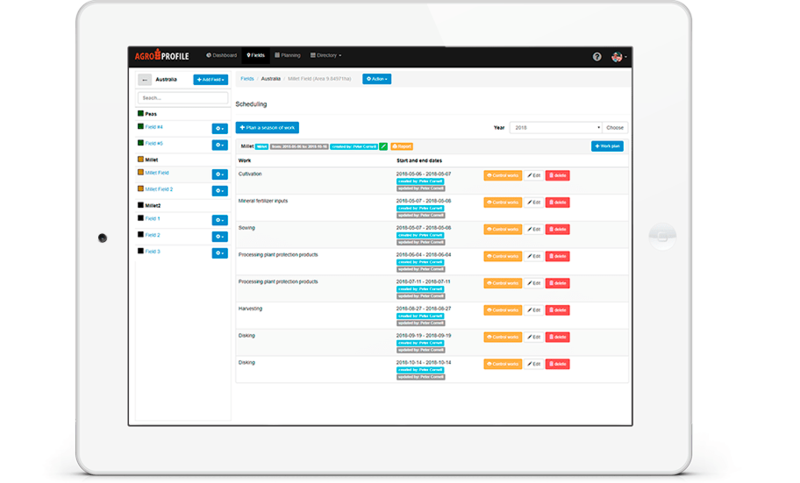 online service AgroProfile. Geometer easily connects with PC or laptop as a new drive. geometer.pro 2014-2019. All rights reserved. Purchase geometer S4 with Avangate ecommerce platform. Is the easier way to pay online. Purchase geometer S5 with Avangate ecommerce platform. Is the easier way to pay online.